There are 2 shops proposing this game for download at an average price of $ 17.77. We found the best promotion ongoing with a discount of 12%. 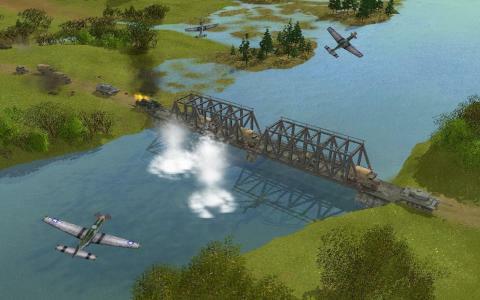 Sudden Strike 3: Arms for Victory is a 2008 real-time strategy game that comes with a new engine, new design, new graphics, more battles and numerous units to engage in massive combats. I recommend this game for its innovative impact raised among the RTS enthusiasts. And you will have a lot of adrenaline playing this game! However, the bad part comes with a control system that doesn't correspond with the well-groomed chaos and intense firefighters launched on the battlefield. So, you will have some problems in this area. Because the tactics adopted are the most important aspects to take into consideration in a RTS, you must be precise when planning the distribution of the military troops and units, each being composed of specific and specialized elements. The producers increased the number of individual actions and commands, and also the diversity. The artistic maps have a large scale, and you will have the chance to control up to 2000 units. 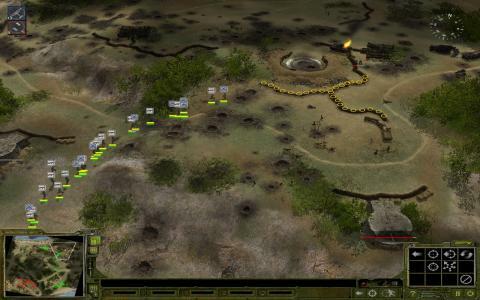 Conflicts are activated by your visibility in the background: if the enemies see you, they will attack your troops immediately. The artificial intelligence is a bit weak, though. The pathfinding is terrible due to the fact that you will find yourself without tanks right in the middle of the fight. They will lose the sight and way to the respective conflict area, and this will be pretty annoying. But, all in all, the game deserves to be played, being the same as Sudden Strike II, but with a more realistic and valuable potential.